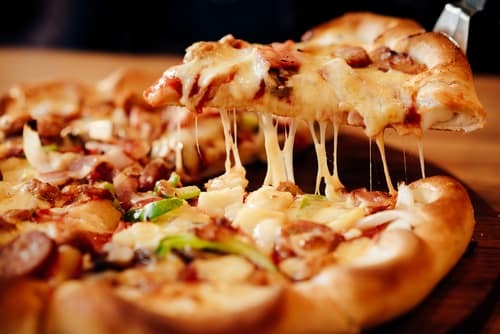 The combination of gooey cheese, delicious sauce, and crunchy crust makes pizza a food enjoyed by all. Around every corner there seems to be a pizza shop, but these three pizza places near Toms River, NJ, are all you will need to try! Family owned and operated, Mangia Brick Oven Pizza has been providing quality Italian fare to the community of Toms River for over 30 years. Their pizza is some of the best around, thanks to their sauce, which comes from a family recipe that has been passed down through generations. For meat lovers, their Mangia Special Philly cheesesteak and The Works pizza, are loaded with sausage and pepperoni, along with peppers, mushrooms, and onions. They also dial things up with their Gourmet Style Brick Oven Pizzas. The Eggplant Rollatini has both mozzarella and ricotta cheese topped on the pizza along with breaded eggplant. Family owned and operated, Sal’s provides freshly prepared and authentic Italian food. This includes some fantastic pizzas with melted cheese, homemade sauce, and a crispy crust. They even have gluten-free pizza for anyone that has an allergy or dietary restrictions. Create your own pizza with the various styles and toppings you can choose from, or order one of their Gourmet Pizzas. From their Shrimp Scampi Pizza to their Baked Ziti Pizza to their Chicken Caesar Salad Pizza, Sal’s has a unique variety of pies you won’t find anywhere else! Also, any order over ten dollars will qualify for free delivery! Schiano’s has been a family business for decades, using traditional recipes that originate from their family’s roots in Naples. 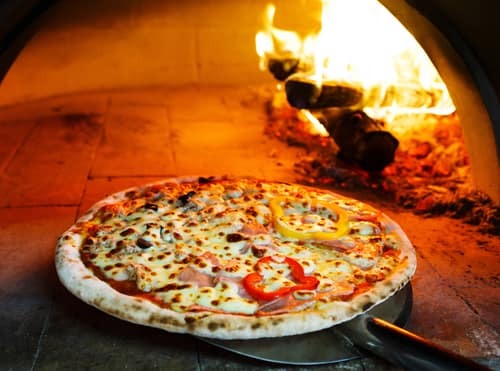 You will taste their passion for Italian food with each bite of their pizza that is made with fresh dough. Design your own pizza with various toppings like sausage, hot peppers, broccoli, and bacon. You can also get their gluten-free crust for your pizza. Their menu also features pizzas already combined with different toppings and sauces. Go classic with a Hawaiian, Margarita, or Chicken Bacon and Ranch pizza. You can also go with one of their more imaginative creations by ordering the Tortellini Alfredo or Sausage and Broccoli Rabe pizza. Dine In, Take Out, or Have a Pizza Delivered for Dinner Tonight! Take the night off from cooking and order a pizza from one of these must-try pizza places near Toms River, NJ!